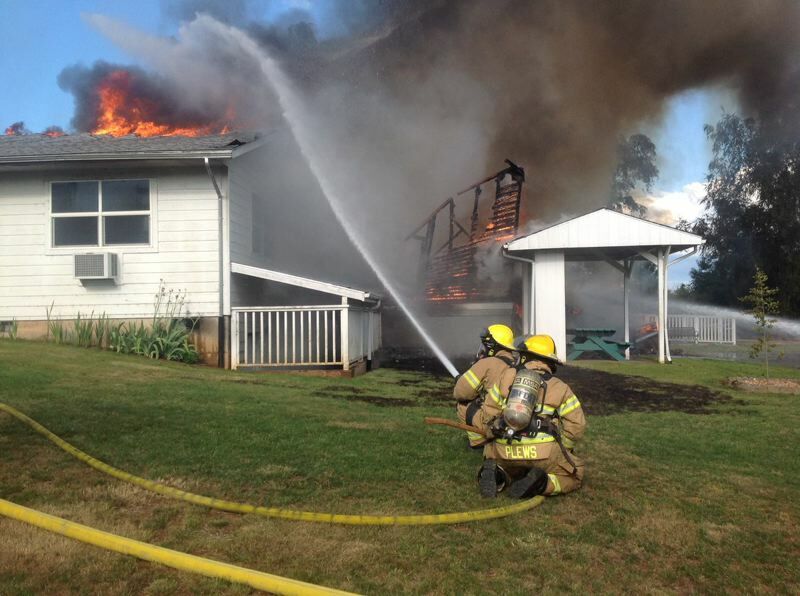 UPDATE: The structure is believed to be a total loss, a fire agency spokesman said. A Forest Grove-area church has been heavily damaged by fire as of Saturday evening, June 9, according to Forest Grove Fire & Rescue. Spokesman Matt Johnston said firefighters responded to a fire at Hillside Bible Church, located at 49820 N.W. Clapshaw Hill Road, at about 5:50 p.m. Saturday. The fire was fully involved by the time crews arrived on scene, Johnston said, and it was quickly upgraded to a two-alarm blaze. We are on scene of a 2 alarm church fire on Clapshhill RD. PIO is about 5 min away. Because of the rural location of the fire — with no hydrants available at the scene — emergency responders needed to be resupplied by water tenders, Johnston said. "We ran out of water a couple of times," he said. At 6:14 p.m., FGF&R Tweeted, the church had "mostly collapsed." Johnston said at about 7:25 p.m. that the flames had been extinguished, but there were several "hot spots" that firefighters were working to extinguish. The church sanctuary was destroyed, he said, and with significant water, fire and smoke damage to the rest of the structure, "I would say the whole structure is a total loss," he added. No one was inside the building when it caught fire, Johnston said. "We did have one firefighter from Banks (Fire District) get burns to their hands," he said. "They were minor." The firefighter was treated at the scene and did not require hospitalization, Johnston said. The Banks Fire District was one of several fire agencies that provided mutual aid. Tualatin Valley Fire & Rescue, the Gaston Rural Fire District, the Cornelius Fire Department and the Hillsboro Fire Department also responded to the blaze, Johnston said. The cause of the fire is not yet clear. Johnston said fire investigators were dispatched to the scene. 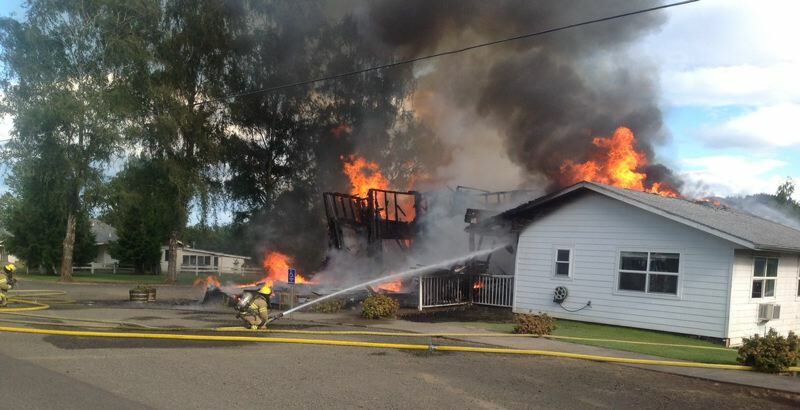 Editor's note: This story has been updated with more information from a Forest Grove Fire & Rescue spokesman.